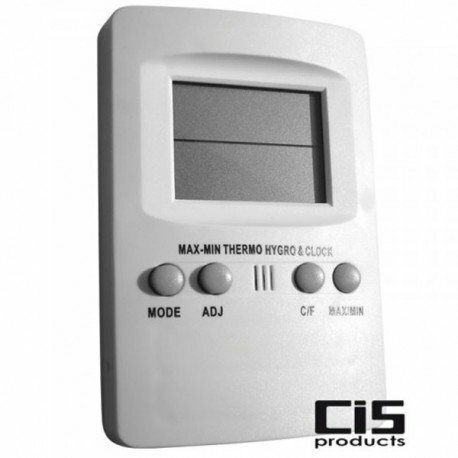 Displays minimums and maxima in terms of temperature and hygrometry (very useful not to disrupt your plants during the night phase or simply in your absences!). Practical thanks to its probe measuring temperatures and remote hygrometry (1 meter of cable) and allowing to have a direct reading of your climatic parameters outside the culture chamber, without having to open the latter. Indispensable for the gardener anxious to control all the "climatic" parameters within his space. Usage advice : always place at the top of your plants ... (think for this to the band velcro ...).